Hey guys, I was actually wanting to put up an outfit post today, but a case of the "lazies" got me again. Instead, just thought I'd do a quick review. I was in Trader Joe's the other day and while at the checkout counter, I saw this sitting on a shelf. Hey, the sign said $4.99, so I thought "why not?". 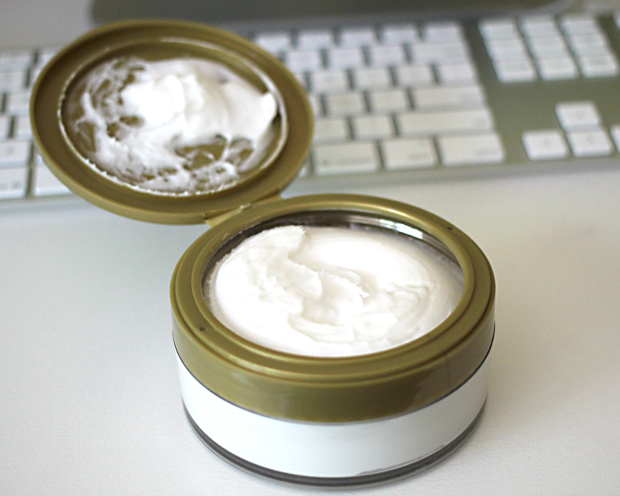 I am a body butter lover, but as many know, all body butters are not created equal. I usually stick to The Body Shop body butters, but they are quite pricey. I'm telling you...this is just the same as The Body Shop's coconut body butter. I kid you not!! It's wonderful, heavy yet light, and the smell is divine! And for 5 bucks, I say!!!! I'm going back to get more today actually. You never really know what items will stick around at TJ's, so I say go get'em while they're hot. 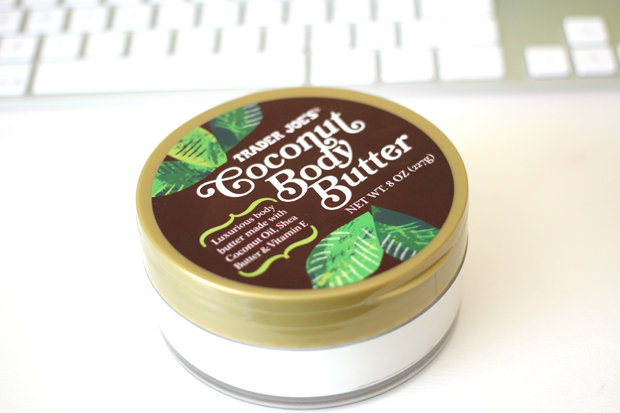 i was gonna stop pst trader joes later on today..i might have to look for this body butter and try it out myself! i LOOOOVE trader joe's! i wish i had one right down the street like i did in dc. i'm happy with my current grocery set-up but i definitely miss the low prices and smiling faces and amazing food/products!